DUBAI, UAE, April 1, 2019 /PRNewswire/ -- Exceptional hospitality, picture perfect locations and award-winning restaurants define every stay with Emaar Hospitality Group, the hospitality and leisure subsidiary of global developer Emaar Properties. Now, guests staying at Emaar Hospitality Group's hotels can enjoy complimentary three-course dinners every night of their stay. 'Dinner on us' is valid at all hotels under the premium luxury Address Hotels + Resorts and upscale lifestyle Vida Hotels and Resorts in Dubai. Guests can choose from over 30 restaurants that welcome them to a world of epicurean exploration. 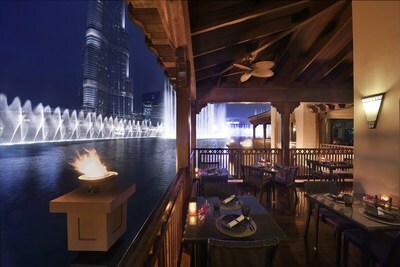 Emaar Hospitality Group's 'Dinner on us' offer is designed to deliver guests more value for their money. A team of award-winning chefs, and warm and attentive service will ensure that the dining experience is satisfying in every way. Olivier Harnisch, CEO of Emaar Hospitality Group, said: "The 'Dinner on us' package is our treat for all our guests visiting from all over the world to ensure they have a delightful and memorable stay. We believe in adding value to our offering – and this is reflected in this industry-first offer – ensuring that we meet the aspirations of our guests." Guests can choose to dine at restaurants such as NEOS and ZETA in Address Downtown or Ewaan and Thiptara in Palace Downtown, overlooking the city skyline, iconic Burj Khalifa, and The Dubai Fountain. Diners can also savour their choices at the refreshingly unique restaurant concept based on the homely and comfortable feel of an apartment, The Restaurant in Address Boulevard. Make your evenings spectacular at the newly opened Cabana in Address Dubai Mall that provide guests with an unmatched dining experience with a variety of new fresh dishes. A deliciously sensory dinner experience awaits guests at Nineteen at Address Montgomerie overlooking the 18-hole championship golf course. Guests staying at Vida Downtown can indulge in international cuisine by the pool-side with private cabanas at 3in1. 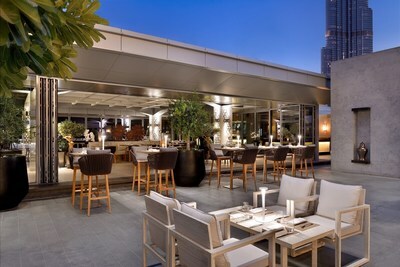 At Manzil Downtown, an upscale boutique hotel in Downtown Dubai, guests can enjoy exceptional dining experience at The Courtyard, Boulevard Kitchen and Nezesaussi Grill. Explore Emaar Hospitality Group's inspiring destinations including Address Boulevard, Address Downtown, Address Dubai Mall, Address Dubai Marina, Address Montgomerie and Palace Downtown – as well as Vida Downtown and Manzil Downtown. The offer is valid from April 1 to June 30, 2019; book on www.addresshotels.com, or www.vidahotels.com.